Some hot tips on keeping your indoor plants happy in Plant Doctor, grow this most useful herb in Vegetable Heroes and " Useful & Beautiful" bigger shrubs in Design Elements . 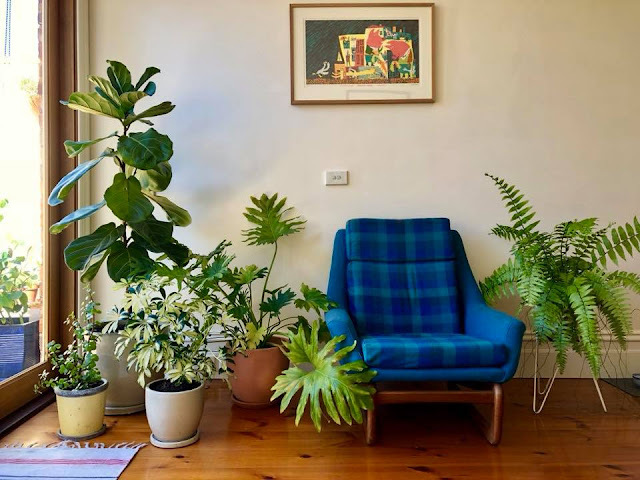 You may have heard that having indoor plants make for a healthy home. The reason is that the plants and in fact mostly the soil that plants sit in, absorb the VOC’s or volatile organic compounds that all your furniture, flooring, household cleaners give off. But those plants are made of plastic so will need attention. 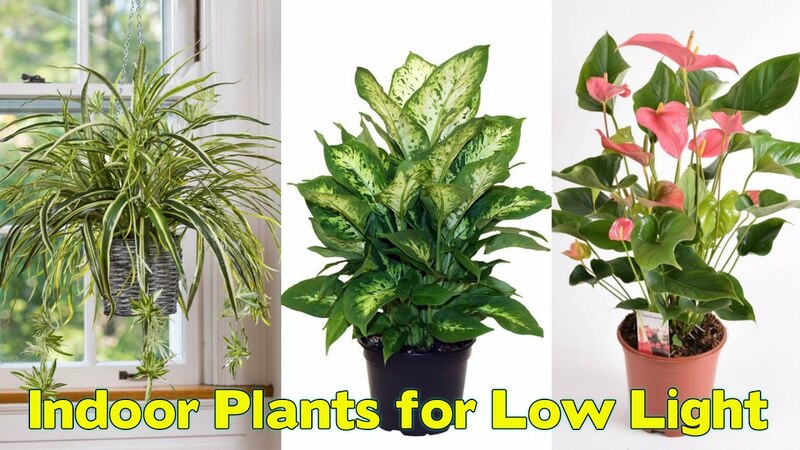 You may not have noticed that your indoor plant/s were in decline even though you've been walking past them everyday for most of the year. The first tip: Top up that potting mix. After 2-3 years, potting mix becomes compacted and shrinks down several cms. Plus old potting mix needs replacing after a while anyway because of this "slumping" and becoming acidic over the years. The second tip: Check if the soil has become hydrophobic. Scratch the surface after you've initially water to see if it has actually penetrated. If not, apply a soil wetting agent. The third tip: Now your pest or disease. If you have any indoor plant problems is important to first diagnose what is exactly happening with the plant. Is it just the soil, or is it something that needs spraying. 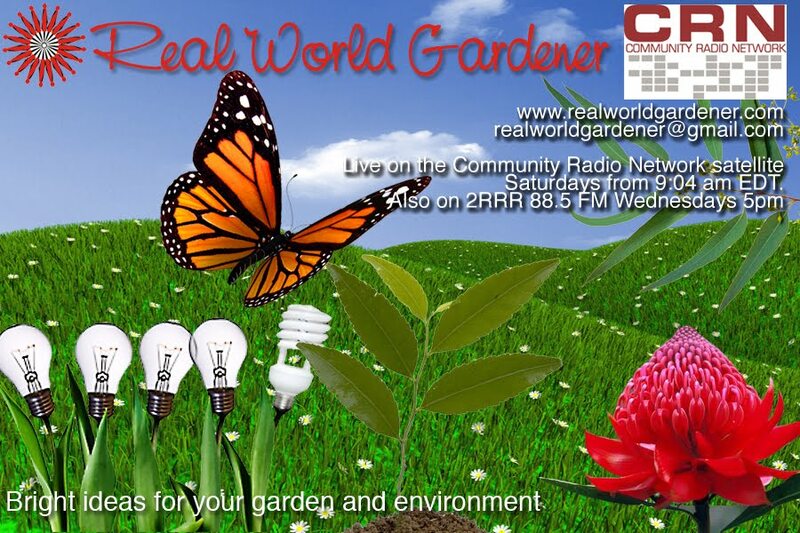 If you have any questions either for me or for Steve, you can email us Realworldgardener@gmail.com or write in to 2rrr, PO Box 644 Gladesville NSW 1675. Melissa officinalis, known as lemon balm, balm, common balm, or balm mint, is a perennial herbaceous plant in the mint family; Lamiaceae. 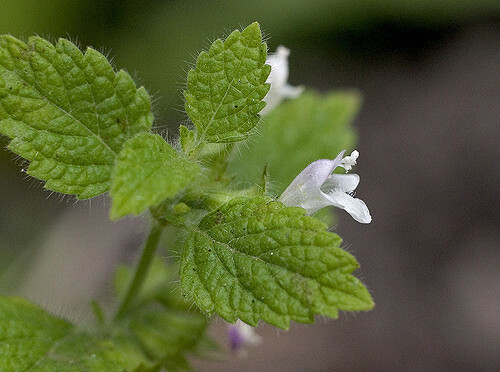 Lemon balm is native to south-central Europe, and the Mediterranean region. You may not be into scientific names but there are two subspecies of Lemon Balm; Melissa officinalis subsp.officinalis, is the commonly grown lemon balm; and Melissa officinalis subsp. altissima, naturalized in New Zealand and known as bush balm. as fruity, herbal or powdery, but often doesn’t have any scent at all. In fact the ancient Greeks believed that if you put a few sprigs of lemon balm in an empty hive, it would attract a swarm of bees, or if you planted some lemon balm near a beehive, the bees would never go away. It’s a fairly low to medium growing herb not growing more than 70 cm tall and being in the mint family, it has square stems. Those flowers that I mentioned occur during summer, and are full of nectar. TIP: The seeds don’t like being overly wet so after the first watering, let them alone but not completely dry out. 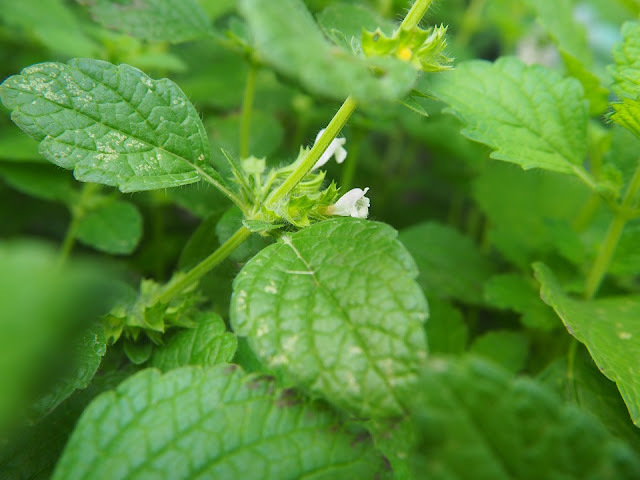 Lemon balm grows in clumps and doesn’t spread vegetatively (veggi-tate-ivv-lee) like mint does, that is putting down roots where the stems touch the ground or through underground rhizomes, but only spreads by seed. If you don’t want it to spread in your garden, then cut back the clump after flowering so that it doesn’t self-seed. In mild temperate zones, the stems of the plant die off at the start of the winter, but shoot up again in spring. Lemon balm doesn’t like temperatures much below 5 C so in cool temperate climates you may lose your plant unless you put some into a pot for replanting next Spring. However, you can pick leaves for use lots of ways from flavouring vinegars, teas, especially Early grey or green tea, marinades, dressings, jams and jellies, stuffings and sauces to using it chopped with fish and mushroom dishes or mixed fresh with soft cheeses. 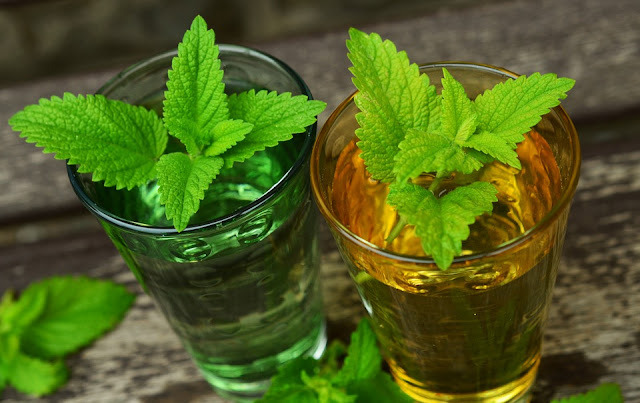 Did you know that in the commercial food industry, lemon balm oil and extract are used to flavor alcoholic and nonalcoholic drinks, confectionary, baked goods, gelatin, and puddings. We’re into the shrubbery but we’re not the Knights of Nee, for all those Monty Python fans listening out there. So last week we outlined the sub-shrubs, in other words those plants that don’t grow too much over a metre, and most likely much less. This week it’s shrubs that grow much bigger so won’t be at the front of the border. These shrubs are larger but not more than 4 metres if that. Rhinacanthus beesianthus –very luxurious looking, grows quite tall - around 2m or higher - and has large attractive quilted leaves which form a glossy background to other plants in a border. Ruttya fruiticosa or Rabbit Ears, because the flower is dark red and looks just like a rabbit or from a distance a bit like Sturt Desert Peas. 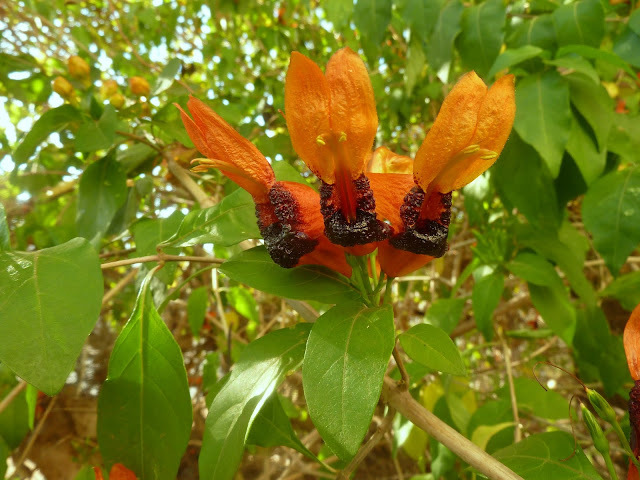 Iochroma fuschoides has an upright vase shape, with red trumpet flowers.